For Immediate Release (May 18): The Manitoba Museum presents the never-before-seen World’s Giant Dinosaurs exhibit May 19 to September 4. With enormous plant-eating sauropods joining the meat-eating T. rex, this exhibit is sure to leave a BIG impression! The Manitoba Museum recently reopened Alloway Hall; with twice the square footage and even higher ceilings, the Museum was ‘Thinking Big’ when it engaged the services of Jurassic Park advisor and excavator of the world’s largest dinosaurs, “Dino” Don Lessem for its inaugural blockbuster exhibit. World’s Giant Dinosaurs is an all new exhibit custom made for the Manitoba Museum. 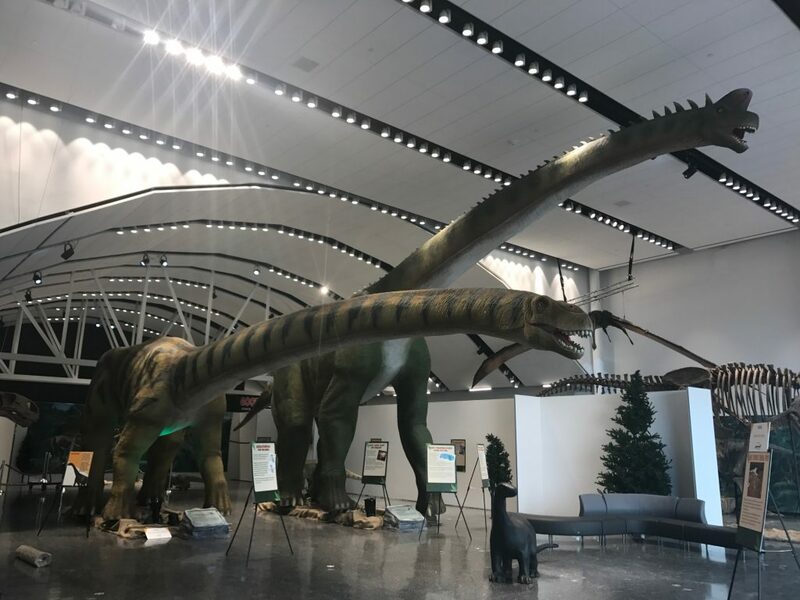 Inspired by the grand new dimensions of the Hall, Lessem worked with the world’s leading robot manufacturer to create the largest dinosaurs he’s ever commissioned for an exhibit: the Brachiosaurus is the tallest dinosaur recreation measuring 24-feet high, and the Mamenchisaurus is the longest coming in at 66 feet. World’s Giant Dinosaurs provides a broad and exciting survey of dinosaurs – both large and small. The exhibit is based on specimens representing 130 million years in which dinosaurs were dominant land animals, from many parts of the world including western North America, Argentina, China, Mongolia, and Europe. Some of the dinosaurs are represented by both skeletons and robotics or sculptures; visitors will also see recreations of the most recent scientific interpretations of internal structures that help explain how these incredible animals lived. Other exciting ideas about dinosaurs are also explored, including the relationship between advanced theropods, such as Velociraptor, and their living relatives the birds. Did birds evolve from dinosaurs? Were some dinosaurs warm blooded? Learn the answers to these and other questions and make sure the junior paleontologist in your family visits the activities area complete with a fossil dig pit. World’s Giant Dinosaurs runs May 19 to September 4. 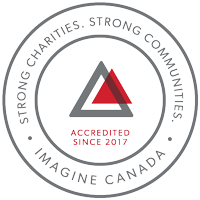 Thank you to our generous sponsors Bockstael Construction, Travel Manitoba, Pattison Outdoor, CTV, Virgin 103, BOB 99.9, and the Winnipeg Free Press. Admission for the exhibit includes World’s Giant Dinosaurs AND one other area of the Museum complex: Museum Galleries, Planetarium, or Science Gallery: Adult: $19.50; Senior & Student: $15.50; Child: $12.50; Children under 3 years are free. Prices do not include GST. Additional admission discounts are available when visitors select additional areas of the Museum. Tickets are available at ManitobaMuseum.ca or at the box office. From Talk to Table: Dinos Edition with Peg Beer Co.
Join the Museum’s Curator of Geology and Paleontology and discover our province’s past through a deep-time look at the creatures that lived in Manitoba during the age of the dinosaurs. Go back in time for a prehistoric party! Enjoy an evening of expert talks, demonstrations, toast a T. rex and munch beside a Mamenchisaurus! Learn the latest – what we know about dinosaurs has changed since you were a kid! Your tour is included with admission, however you must register at reception upon arrival – first-come, first-served. Check web site for details. This sleepover event welcomes families for an exciting overnight adventure! Summer camps include a variety of hands-on science, immersive history and fieldtrips. And, every kid will enjoy a visit to World’s Giant Dinosaurs. Themes for weeks one and two alternate throughout the summer so your kids can enjoy a single week or two weeks in a row! Sibling discount is available.